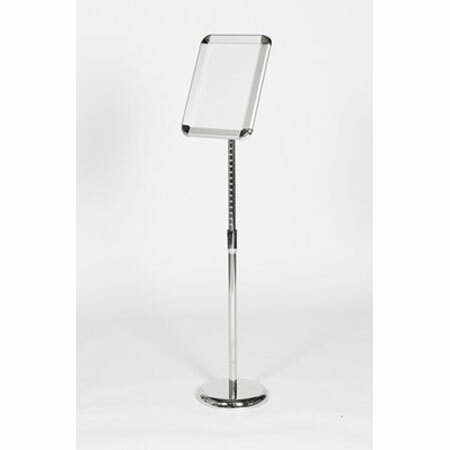 R196 A3 Poster Stand With Snap Frame. Weighted base. Satin aluminium finish. Image of A4 Poster Stand for illustration only.